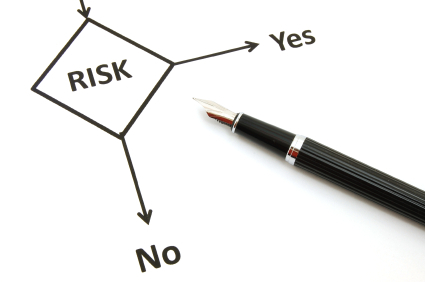 Risk Tolerance – Are you risk adverse? Risk tolerance is the degree of uncertainty that an investor can handle in regard to a negative change in the value of an investment. Risk of loss of principal is the primary risk concern for investors but there are other risks to be considered such inflation risk, interest rate risk, credit default risk, liquidity risk and others that influence an investor’s assessment of an investment. Most investors think of risk in terms of what is the possibility that I will lose some of my money over time after purchasing an investment. Risk and return tend to work together. The higher the level of risk that greater potential gain or loss on the investment and the lower the level of risk generally equates with the lower potential gain or loss. An investor’s risk tolerance varies based upon age, investment experience, net worth, income, investment time frame, investment objective, liquidity needs, and other factors. Risk tolerance tends to be viewed in categories such as conservative, moderate, or aggressive. Generally, investors with a conservative risk tolerance are adverse to loss of principal and tend to have high need for liquidity in their investments. For example, many retirees have a conservative risk tolerance because they have limited resources for income, need to access funds for health care and other living expenses, and generally do not have time to recover from large losses sustained in their retirement account. Conversely, investors that are employed have many years of work ahead of them. They have income, some savings and insurances coverage and therefore may be less adverse to the risk of loss of principal. These investors may pursue moderate to aggressive risk as appropriate with their investment objectives and financial goals. There are risk tolerance questionnaires available from financial advisors and on the Internet. When establishing an investment account, you and your advisor should have a discussion about your risk tolerance and how to it effects your investment objective. In addition to selecting the appropriate risk tolerance and investment objective, investors and their financial advisor should discuss other types of strategies to reduce the risks associated with investing in securities. Look for my next blog post on risk management strategies. Just because an account or an individual investment has decreased in value does not necessarily mean that a financial adviser has acted inappropriately. At Crary Buchanan, we provide consultations concerning negligence arising from improper financial advice. We invite you to call us to discuss your rights and remedies under the law. This article was written by admin on at . You can follow any responses to this entry through the RSS feed. Responses are currently closed, but you can trackback from your own site.